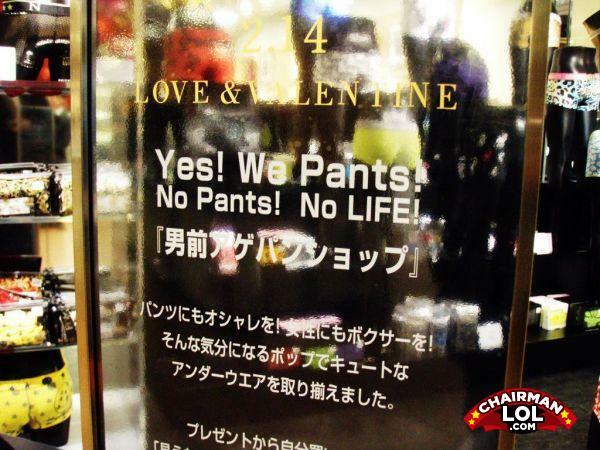 No pants,No life...So what you called a naked aboriginal people? Without pants, you are DISHONORED. NO SENTENCE MAKE SENSE! YOU ASIAN! If I wear two pairs of pants, does that make me a highlander? You dare ring no pants to my lair? You must die! A dyslexic man hears a joke, and laffs.